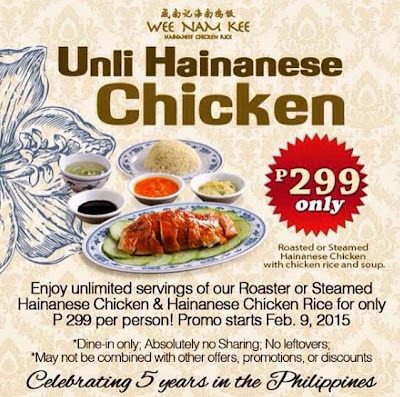 Did you know that Wee Nam Kee is offering a week long Unli Hainanese Chicken (and rice, and soup) Promo this week? 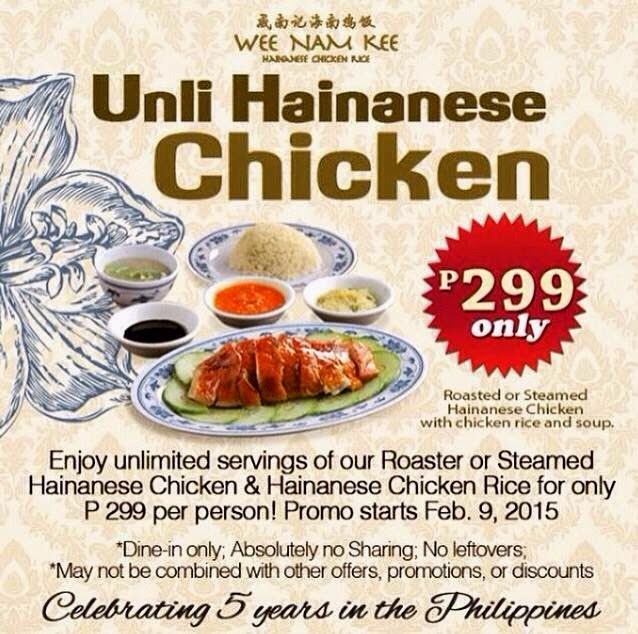 In celebration of their 5th year in the Philippines, they're offering unli chicken and rice for only 299 pesos (plus service charge)! yeheyy!! 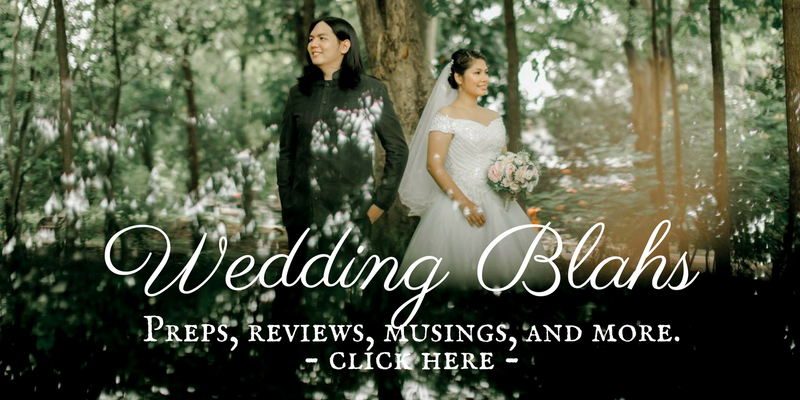 it's gonna run from Feb 9 - 13, 2015 and is available at all of their branches (Alabang Town Center, Glorietta 2, Serendra, Ayala Triangle Gardens, Promenade 3 Greenhills, Trinoma, and Fairview Terraces) ! their hainaneese rice is to die for. it's cooked from chicken stock so it's got this chicken broth flavor to it that's really good. a cup of this regularly cost 50 pesos kamown. haha they only serve this by the cup and not in bowls or platters. they also don't serve plain rice. oha. that's a signature! but honestly, my favorite dish from WNK isn't really part of their menu, they're CONDIMENTS!! their three condiments (dark soya sauce, chili sauce, and pounded ginger) are what keeps me coming back over and over and over. actually, just the soy sauce and ginger hehe. every time i wait for my food to be served, i make myself a generous mix of ginger and soy sauce, and eat em! sorry, pinapapak ko lang sila. super solve na ko! omnomnom btw, you can ask to take out their condiments too! So was the promo sulit? YES! even though i only ate a single serving of rice and steamed chicken (cos busog na agad ako), jeckie downed 6 servings of chicken, and 2 cups of rice naman!haha well, i had 3 cups of soup din pala, cos... soup! Jamie & Jimmy's Food Fight Club Season 2! Zumba at Hangtuff Fitness, Makati! 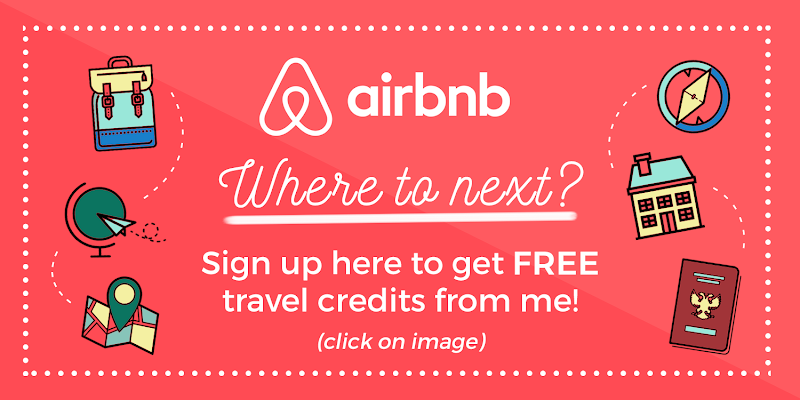 Which Skin Care Service is best for you? Asia's got Talent to premiere on March 12, 2015!